Normalcy returned to the country's publicly owned universities on December 17, after members of the Academic Staff Union of Universities suspended their almost six-month-long strike, which began on July 1 over demands for better funding and payment of outstanding allowances. Undoubtedly, it is a breath of fresh air for the students and relief to the weary Federal Government and the lecturers as well. A number of students and lecturers lost their lives in the process, mostly through road accidents of which that of Festus Iyayi, a former chairman of ASUU, was the most prominent. The setback to the entire system is inestimable. As usual, ASUU extracted a commitment from the Federal Government. This time, a total of N1.3 trillion is to be injected into the university system between 2013 and 2017, while N200 billion lodged with the Central Bank of Nigeria will be used to meet the immediate demands of ASUU for infrastructure. However, there is absolutely nothing to gloat over in this rapprochement because the paths are still laden with mines. It is this sad reality that should oblige all sides to this seemingly perennial pastime to undertake some soul-searching. 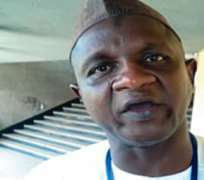 The Nasir Fagge-led ASUU embarked on this last strike due to the government's persistent failure to honour a 2009 agreement that it reached with the body. The entire system is putrefying; libraries, laboratories, hostel accommodation and lecture halls are in the worst form of degradation. Electricity and water facilities are epileptic in most universities; and in some others, non-existent, forcing students to occasionally spill into the streets in violent demonstrations. All over the place, our campuses are brimming with an explosion in students population, many of whom were enrolled by corrupt university administrators into courses the National Universities Commission did not approve. According to the 2012 Needs Assessment of Universities report, over 34,000 Ph.D holders are needed in our universities. Yet, more universities are springing up. The ultimate result is that half-baked graduates are churned out every year; and they add to the army of the country's restive labour force. Some of these job seekers have, in desperation, taken to armed robbery and kidnapping to the peril of the society. The government will be held responsible if the current truce fails to work. Its infidelity to the 2009 agreement has brought ruin to the university system. ASUU has already vowed to closely monitor the implementation of the new pact. However, its searchlight should not be on government alone, but also on the administration of each university. It is simplistic for anyone to reason that funding is the sole problem: the rot in the university system stems largely from the fact that many vice-chancellors and university councils have no business being in the saddle. Some of them are as materialistic and corrupt as our politicians. Funds are recklessly applied; uncompleted projects litter the campuses, while students are admitted in excess of the carrying capacities of most universities. In this kind of milieu, academic excellence and the cherished traditions of the ivory tower take flight. A vice-chancellor who does not know that stoves have replaced Bunsen burners in the science laboratories, as it is commonplace now, is not fit for the office. No matter how little the funds made available to any university, this is a basic laboratory tool, whose provision should be taken for granted. The quality of the governing councils plays a significant role in the fortunes of universities. This was evident when the eminent lawyer, Afe Babalola, was the chairman of the council of the University of Lagos, Akoka. Sadly, many of today's appointees to councils know next to nothing about the university system; while many appointments merely oil the patronage machinery of government. So, what impact would such a board of misfits make? Dealing with the current systemic dysfunction requires a totally new template with long-term strategies, rather than the placebo the N1.3 trillion outlay represents. Currently, there are about 78 federal and state universities, most of which are political creations. It was for this reason that we had argued in earlier editorials that national interest would be better served if some of the universities were shut down or merged. No country has ever developed without sound education providing the foundation; certainly the rule of the thumb approach often adopted in Nigeria in addressing its educational challenges will not take the country out of the woods. Yes, N1.3trillion is to be injected into the universities over five years. But how much will each get to remedy the rot? Harvard University, for instance, had $30.7 billion in endowment funds alone at the end of 2012 financial year, while Yale University posted $19.2 billion. Yet, it is the same labour market that graduates of these American universities and their counterparts from Nigeria meet to sell their skills. If academic excellence is to return to our universities, we have to accept the hard fact that students have to pay some form of tuition; government alone cannot bear the burden. While dons at federal universities have something on the table to share with the offer already made by government, we wonder what is there for those in state universities. In a skewed federation where the Federal Government collects 52.68 per cent and states take 26.72 per cent of national revenue, a general strike of public universities becomes a misplaced effort and counter-productive. At all times, and in every circumstance, our federalism must be made to work.